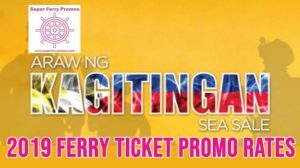 Superferrypromo.com is the hub for Philippine Shipping Lines, get info like 2Go Travel schedules and promo fares for 2019, Roble Shipping, Cokaliong, George and Peter, and other passenger boats in the country. 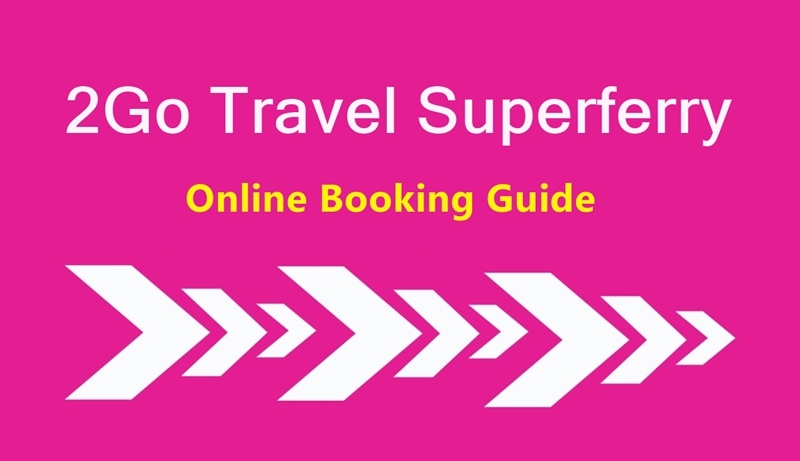 Now is the best time to book your 2Go Travel promo ticket with this latest Superferry boat promo for 2019. Enjoy cheap 2Go ticket rates at as low as 600 pesos for April, May, June and July 2019 sailing dates. See the list of the destinations included in this 2Go Travel promo fares below. 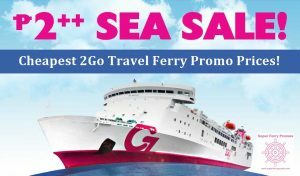 Looking for cheap 2Go Super ferry promo ticket rates? 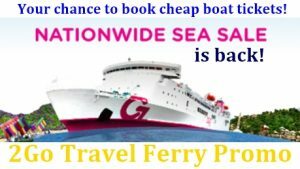 Then you might want to book this 2Go Travel Nationwide Sea Sale 2018. 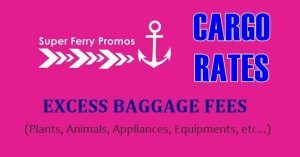 Super ferry promo fare rates go as low as 700 pesos base fare! 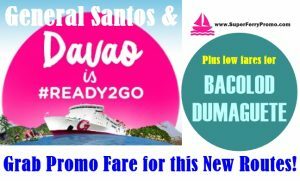 2Go Travel now sails to Davao and General Santos! 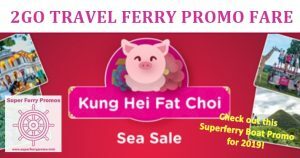 Superferry 2Go Travel is celebrating these new destinations by offering cheap Superferry ticket promo rates! 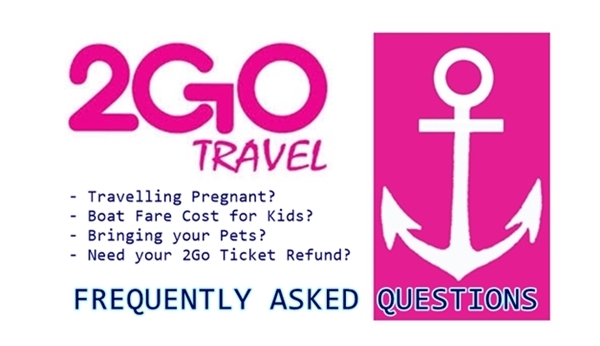 This may be the cheapest 2Go Travel ticket promo rate offer yet! 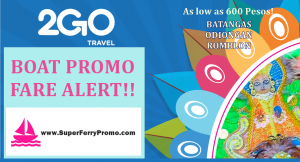 2Go Travel is offering Superferry promo ticket prices as low as 2 pesos base fare! Yes you read that right! Note: Base Fare is ticket cost before taxes and fees.